Submitted by Denise Azucena on Jul. 19, 2018. Originally published on Jun 21, 2017 and last updated by Alexander Briones on Jul 19, 2018. 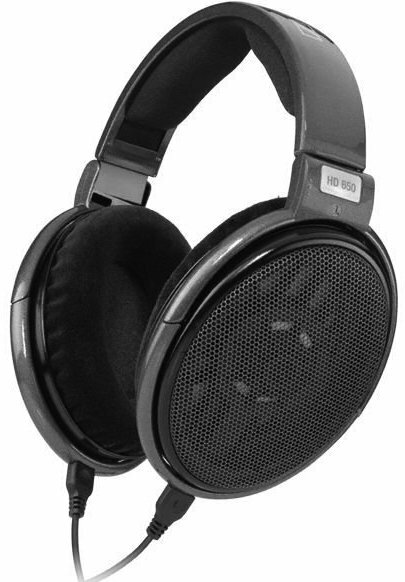 Open-back headphones are commonly identified by their vented or mesh-covered enclosed earcups. This design promotes a more natural sound that minimizes internal reflection and standing waves making them better suited to mixing and mastering compared to closed-back headphones. This guide features the best these open-back headphones, updated for 2018, and divided into three price categories: sub $100, sub $500, and sub $1500. 89 out of 100. Incorporating 750+ ratings and reviews. Thanks to brands like Samson Tech, you don't have to shell out big bucks to have good quality studio reference headphones. For the price, the Samson SR850 gives you a pair of studio reference headphones with big 50mm drivers in semi-open back cans. This bigger driver allows for a fuller sound, while the semi-open design adds ambience and diffuses some of the extra low-end for more room-like monitoring experience. 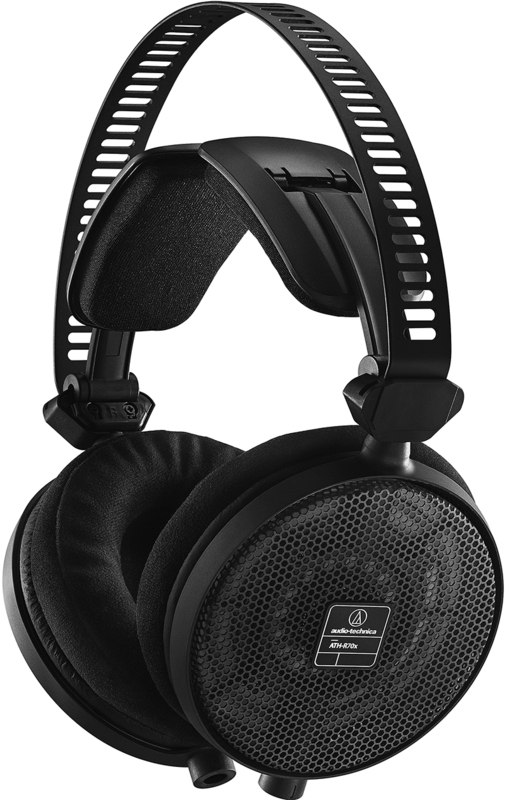 Both cans come with circumaural pads and are attached to the SR850's self-adjusting headband. Response to the Samson SR850 is mostly positive. Many user reviews are from those who are trying out studio headphone mixing for the first time. As expected those who switched from multimedia headphones experienced a jump in sound quality, but there are also more experienced users who are surprised with SR850's price to performance ratio. There are a few who feel that the midrange is lacking, along with a few complaints about fit, stating that it is too big. If you are looking for good budget option, the Samson SR850 is worth checking out. 91 out of 100. Incorporating 1700+ ratings and reviews. 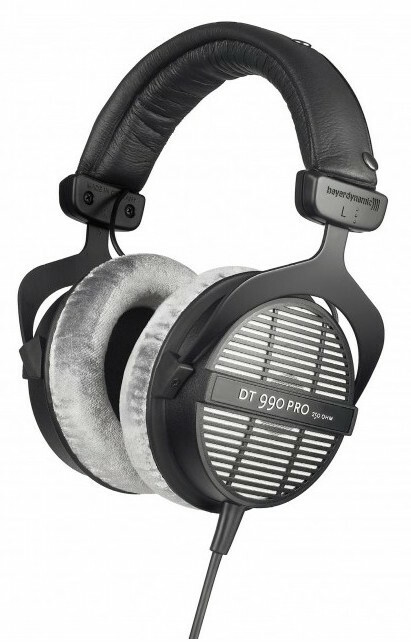 The DT-990 Pro are a set of dynamic headphones made for studio and monitoring applications. The spring steel headband, built with a soft padded material, provides both comfortable and secure fitting. The soft earpads built around the earcups also provide comfort and are replaceable. The lightweight diaphragm and moving coil have the same pulse characteristic as electrostatic headphones with a tailored frequency response. These headphones come with a single-side coiled cable fitted with a 1/8" stereo jack plug with a 1/4" adapter. Many customer reviews mention how transparent sounding these headphones are and that they deliver accurate sounds, and clear & crisp highs. Some of them mentioned these headphones have a wide soundstage and stereo image. These users commend the durable build with soft and ear-friendly velour pads that provide comfort even after long hours of use. There are a few people who feel these headphones have slightly recessive mids and overpowering lows. These headphones are great to use when it comes to referencing your mixes. The ATH-R70x are professional reference headphones that feature a pure alloy magnetic circuit design to reduce distortion. The 45 mm drivers reproduce extended low and high frequencies while their aluminum honeycomb-mesh housings provide a natural open-back sound. They are equipped with a dual-sided detachable cable that ensures proper stereo orientation. Their robust and light weight build makes them comfortable to wear for long periods of time. The general feedback is mainly positive when talking about the construction of these headphones. Many reviewers found them to be robust and light weight while wearing them. When it comes to sound quality, they provide a balanced and wide sound with a good bass response, clear highs and midrange. In his MusicRadar review, Robbie Stamp mentioned they "create and maintain a full width stereo image, allowing for confident pan decisions and the construction of complex sound fields, as well as extreme ones." These headphones are a good choice for mixing. 96 out of 100. Incorporating 1250+ ratings and reviews. The HD600 has been a favorite among mastering engineers worldwide. 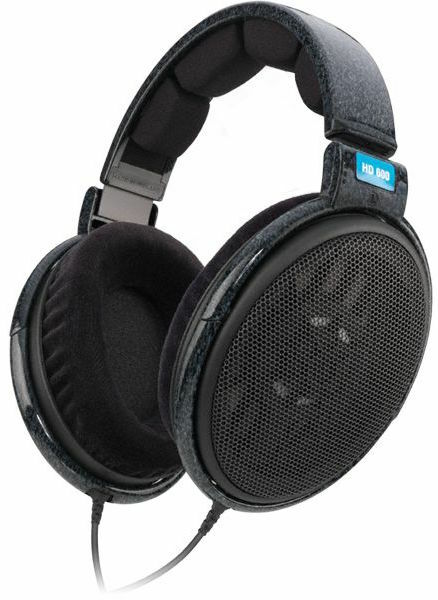 They feature open metal mesh earpiece covers for transparent sound, lightweight aluminum voice coil for exceptional transient response, and computer magnet systems that reduces distortion. Their diaphragm design omits standing waves which results a clean sound. Near-neutral frequency response, wide soundstage, natural sound and good dynamic range are the main aspects that are widely favored and commented upon for the Sennheiser HD 600's. Some users also mentioned they never experienced any fatigue or harshness in high frequencies after using for long hours in part due to their light-weight with soft ear padding. A few people have suggested that quality of the plastic headbands weren't on par with the price, though they are still durable. The initial clamp force of these headbands feel uncomfortable at first to some users and need time to loosen up. These headphones are best used for professional studio use such as mixing and mastering. 92 out of 100. Incorporating 1350+ ratings and reviews. The HD 650 are headphones designed for audiophiles which makes them quite useful for mixing and monitoring. 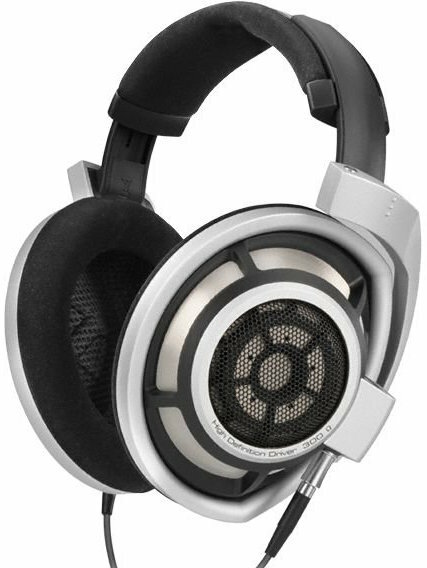 The aluminum voice coils of these headphones ensure fast transient response across the frequency spectrum. They provide detailed sound reproduction and low harmonic distortion which makes them suitable for referencing. The detachable oxygen-free copper cable also allows low handling noise sensitivity. As expected from Sennheiser, these set of headphones have exceptional sound reproduction as attested to by the numerous users who have praised the high quality and near neutral sound of their drivers. The lows, mids, and highs have noticeable detail, which lets users analyze their mixes or reference a mix. They also mentioned their large elliptical design and velour earpads are comfortable enough for their ears to rest well. Although majority of users mentioned these headphones are durable, some users thought the quality of plastic material didn't match up with the price. Some also preferred a much wider sound stage. These are a good investment if you want high resolution headphones for mixing or referencing. The SRH1840 features individual matched 40 mm neodymium drivers that are built to provide extended highs and accurate bass. They have a lightly padded steel headband and lightweight aluminium alloy yoke. The velour earpads have high-density and slow-recovery foam while the padded headband is adjustable. This makes them comfortable for long hours of use. Their use of dual exit cables provides security and detachability for easy storage or replacement. One of the features users found to be exceptional were the clear and accurate response of these headphones. In his Sound on Sound review, Sam Inglis mentioned the lows are "solid, well-defined, fast, and nicely integrated with the rest of the sound. The mid-range is detailed and rich without being overstated, and high-frequency extension seems excellent, as is the presentation of transient". When it comes to build, a lot of reviewers discussed how durable, lightweight and comfortable these headphones are. Most of them found the detachable cord convenient for easy storage. Some users disliked the dual-exit cable and prefer a single-exit cable since it is prone to get tangled or snagged. These are a viable alternative to monitor speakers if your circumstances won't allow you to use speakers. German made products are generally highly regarded because they are usually well made, and feature cutting-edge technology - and the Beyerdynamic DT 1990 Pro is exactly that, with its premium build quality and innovative design. Speaking of innovative, Beyerdynamic developed their own transducer design that better handles sound at higher volumes, and they call the technology "Tesla Driver", not to be confused with the popular car company that also uses Nikola Tesla's name. The drivers work together with the titanium-coated acoustic fabric on the open-back earcups to produce a balanced sound with natural ambience. Another stand out feature of the DT1990 Pro is its replaceable velour ear pads, which lets you switch from a well balanced sound, to a more mixing friendly sound. 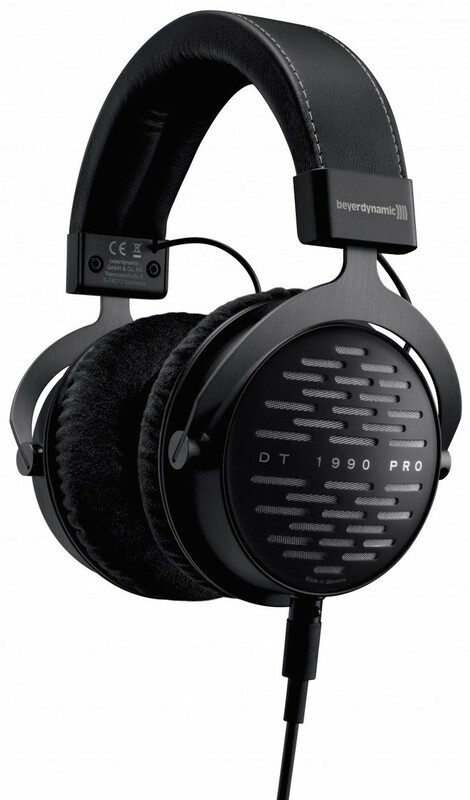 Sound quality is the top most commended feature of the Beyerdynamic DT 1990 Pro, many are impressed with its clarity. Coming in close second is its comfort, most users appreciate the memory foam ear pads and the feel of the headband. It is also sought after for its versatility, thanks to its replaceable ear pad design which subtly changes the sound. Lewis Leong of TechRadar concluded his review with this: "Said simply, they’re professional-grade cans that anyone will enjoy listening to." To make the most out of the DT 1990 Pro, some users recommend getting a headphone amplifier that matches its 250 ohm impedance. There are a few who comment that it tends to emphasize the higher frequencies. With its quality and versatility, the Beyerdynamic DT 1990 Pro is a good investment for any studio. 94 out of 100. Incorporating 1900+ ratings and reviews. Being part of Sennheiser's top of the line offering, the HD 800 is assembled by hand in Germany to ensure its premium build and sound quality. At the heart of the HD 800 are two 56mm drivers, which are among the biggest in the market - both of which feature Sennheiser's patented ring-like transducer shape. These drivers are housed in open-back earcups that work together for a more natural sounding monitoring experience. Other premium features include inner-damping element in the metal headband, plush headband and ear padding, specially designed matching cable. Amazing, sweet and excellent are just three of the many positive adjectives that people use to describe the Sennheiser HD 800. And most of these reviewers point to the HD 800's clean and clear sound as its best trait. A good number of perfect ratings also commend its build quality and comfort. Interestingly, there are a lot of users who commend its value for money, which is quite impressive when you consider its premium price tag. Speaking of price, there are a few users who rated the HD 800 lower for being expensive. There are also some who are not too happy with its weight, reporting that it is not as comfortable to wear as they have hoped. If budget is not an issue, and you're looking to invest on a premium pair of headphones, then the Sennheiser HD 800 should be a top priority. Although studio monitor speakers are generally better for primary mixing and mastering, open-back headphones are affordable and convenient alternative options for situations where you can't make a lot o noise or don't have an acoustically suitable room . They also make great reference monitors to see what your mixes will sound like to listeners using high-end headphones You can also bring your headphones on the road if you are planning to mix in different locations. Headphones are also useful for checking unwanted hisses, clicks and pops, and are also ideal to use for focusing on subtle details of each individual track. Most studio headphone manufacturers add a high-frequency roll-off since high frequencies sound louder when close to the ears. They also add a slight bass boost for you to feel thumping rhythm like what you hear from monitor speakers. It's highly recommended to look for headphones with the closest to a neutral frequency response so you can hear the clear and natural audio in your mixes. Most open-back headphones have an extended frequency range in both ends for deeper responses. Comfort is a subjective factor yet should be considered since you will be mixing or mastering for long periods of time. Open-back models tend to be more comfortable compared to closed-back headphones. Their designs have grilles that expose drivers, which gives a natural and 'airy' sound when mixing. They allow sound to leak from both directions of each earcup and lets your ears have a bit space, which gives your ears less fatigue while listening for hours at a time. In cases of mishandling, some manufacturers provide replacement parts for earpads or cables, especially for higher-priced headphones so you don't have to replace an entire set when parts wear out. Clamp Force determines the pressure or tightness of earpads on your ears. It's ideal to find headphones that provide an even amount of clamp force where they're not so loose as to fall off easily by minimal movement, and not too tight so as to be uncomfortable. Sound stage refers to the perception of width and depth of the sound coming in from the drivers of the headphones. This recreates the placement or imaging of instruments while listening. Roll-off refers to the filter's actions to reduce the level of filtered frequencies. Transient response is how fast a driver reacts to changes in the audio. 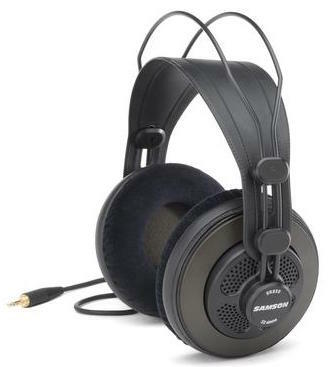 We looked at all the popular open-back headphones, available from major online music gear retailers, that are suitable for mixing and mastering. 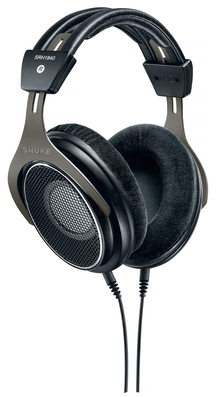 You can see the headphones that made our short list in the Music Gear Database. We then analyzed the most recent reviews, ratings and forum discussions and processed this information via the Gearank Algorithm to produce the scores out of 100 you see above. For this update, we processed almost double the amount of data, which totaled to over 10,700 sources. We then recommended the highest rated options in this guide. For more information about this process see How Gearank Works. Submitted by Jason Horton on Jul. 24, 2018.